In Instagram (on the desktop), free image websites, online shops, portfolio galleries and almost every other site where content is structured grids play a key role. Inserting grids becomes an easy task with grid plugins. Among them, Essential Grid claims to customize every aspect of a grid so the design is consistent with your brand identity. Whether this is true or not discover in this Essential Grid review. 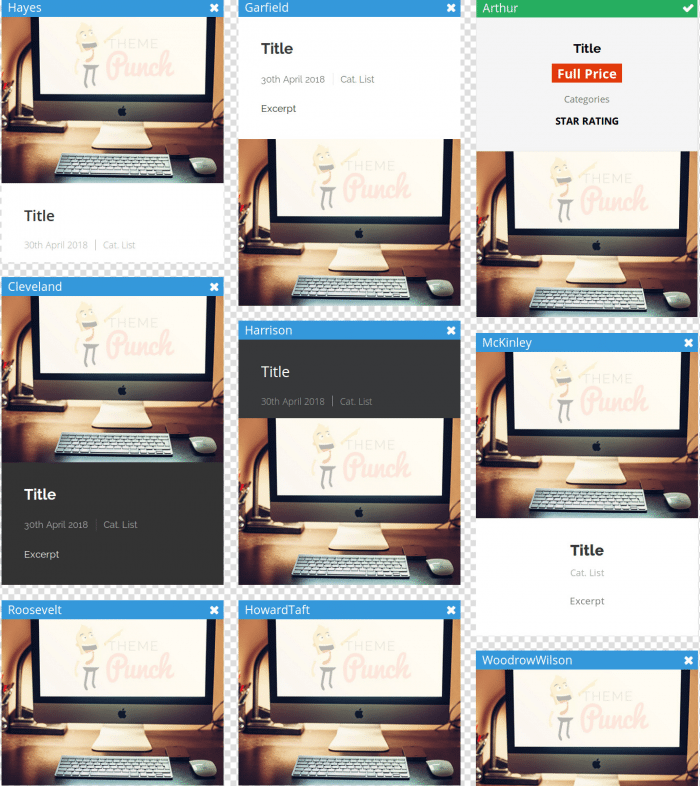 The multipurpose grid builder plugin by ThemePunch can blend into any webpage. This is evident from Essential Grid’s features that allow limitless customization. To start off, give any relative title and alias in the naming tab but bear in mind to keep the alias lowercase. The generated shortcode by plugin helps to embed the custom designed grid in blog posts or any other place. Essential Grid lets you pick content from almost any theme source. “Post, Pages, Custom Posts” basically incorporates the content of your WordPress site. The first Type, i.e. Post, will gather images of your posts and display them in a grid format. This option is particularly for bloggers. The Page is for navigational purpose. Whereas the Custom Grid option pulls in data from the WordPress gallery. The third interesting Source takes input from various social networking services, namely Twitter, YouTube, Facebook, and Instagram. If WooCommerce plugin is activated you will get to see Product, Variations, Order, Refunds and Coupon content Types. Note: Essential Grid requires a post to have either a tag or a category. In the Grid Settings, you have 3 layouts (Boxed, Full-Width, Full-Screen) and 3 Grid Layouts (Even, Masonry & Cobbles) to choose from. To customize the behavior and looks of the Grid elements in your theme, Essential Grid offers over 26 skins. The advanced users can open the visual skin editor to build new skins either from scratch or templates. To enable a slider when lightbox is running, change the Gallery Mode to “All Items.” You can also control the content dimensions, the slide animation and autoplay mode to name a few. Support for almost every WordPress theme. Customize how your grid emerges when a page loads and what happens when you hover an item. Export and import the Essential Grid settings including custom skins. Drag and drop the elements to arrange them in the WYSIWYG Preview interface. 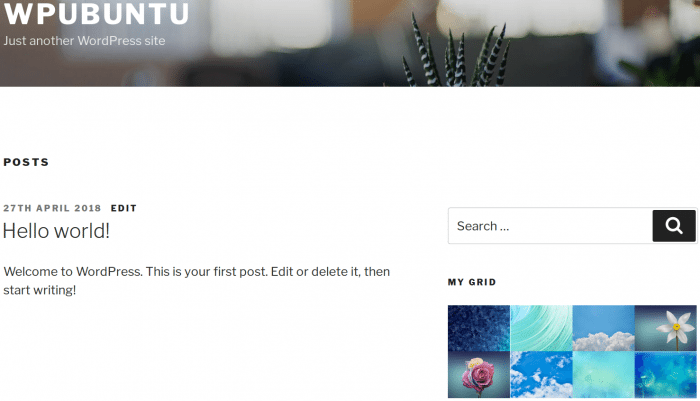 The Essential Grid content organizer can not only create grid layouts in your pages or posts but also insert them in your main page and sidebar. Essential Grid widget does the latter job. Google fonts can replace the default fonts in the Punch Fonts sidebar tab. The Essential Grid interface is minimal and intuitive. Furthermore, the plugin tooltips are there for help. The floating side buttons are handy in instantly saving the grid or refreshing the editor. Just in case you are facing trouble operating Essential Grid, you can follow its searchable detailed guide or video tutorials playlist. Many demos are present on the official website of Essential Grid which can give you an idea of the plugin’s potential for your WordPress domain. Because of the plugin’s popularity, you will see it getting coverage by different youtubers. You need to buy a separate license for each website. Because of loads of features, the plugin can be somewhat hard for a beginner. The plugin is not a freebie and costs $26 with 6-month support and $34 for an extended support of a year. Although the plugin is limited for use to one individual, a freelancer can create and distribute the end product without sharing the plugin file. 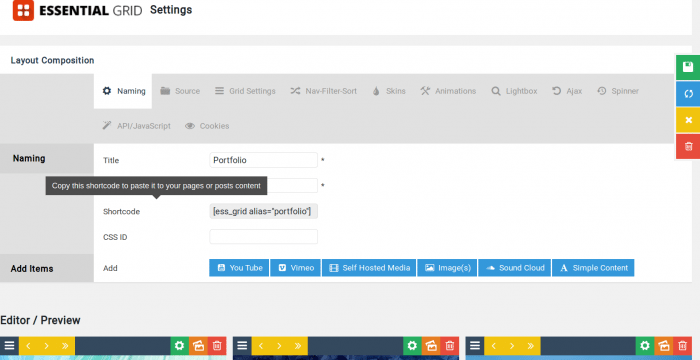 After reviewing the bundle of advantages Essential Grid comes with, there remains no doubt that it is the most powerful WordPress grid creator. Essential Grid handles various contents—like photographs, items, videos, posts etc.—really well. Your theme’s content is arranged by Essential Grid in such a way that the visitor is better able to navigate and grasp it. Essential Grid is undoubtedly essential for WordPress whether you are a designer, blogger, photographer or e-commerce site owner, whatever industry you belong to. This is proven by the plugin’s 4.7 stars rating out of 5. So grab this grid solution for WordPress now. Grab This Grid Solution For WordPress Today!